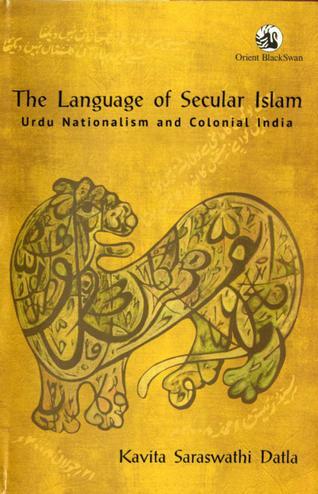 Here is a fascinating book by Kavita Datla that looks at the interaction of Urdu with Indian nationalism and secularism: The Language of Secular Islam: Urdu Nationalism and Colonial India. In particular, the book focuses on Osmania University in the state of Hyderabad and the discussions over how to translate various subjects into Urdu and on the relative emphasis on Persian, Arabic, or Hindi. These decisions were intertwined with the way the role of Urdu was being imagined in Hyderabad and beyond. Modern science, of course, features in these discussions of translations as well. Kavita is actually is right here in the 5-College area (at Mount Holyoke College) but I haven't had a chance to talk to her in detail about her research. diverse communities may come as a surprise to many because of the mistaken belief that it is a “Muslim language.” But an attempt to forge a “common secular future” for Indian citizens through Urdu was indeed made in the 19th century in the princely state of Hyderabad. 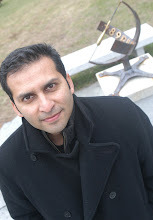 To dispel the notion that Urdu is a Muslim language, Datla writes that as far back as the 1830s, Urdu replaced Persian as the official language of administration over a large swathe of British territory, including Bihar, the North-West Provinces, parts of the Central Provinces, Punjab, and the princely states of Kashmir and Hyderabad. This official language policy continued beyond 1900 (when Hindi was added to Urdu in some territories) till Partition. Muslim advocates of Urdu never used it to articulate identitarian claims and saw the language as a product of Hindu-Muslim interaction. Their main concern was securing a secular national culture for India through a language that they believed was a product of Hindu-Muslim interaction. As further proof, Datla quotes from Shamsur Rahman Faruqi’s Early Urdu Literary Culture and History to assert that Urdu served as the tool to knit together a diverse set of Mughal functionaries which included both Hindus and Muslims. According to Faruqi, the word Urdu came about from the phrase zaban-e-urdu-e-mu’alla-e-shajahanabad (the language of the exalted City/Court of Shajahanabad, that is, Delhi) which soon got shortened to zaban-e-urdu-e-mu’alla, then to zaban-e-urdu and finally to Urdu. Before that it was called Hindvi, Hindi, Dihlavi, Gujri, Dakani and Rekhta. Datla is right. For Osmania University was neither a communal nor theological project despite the fact that it did have a faculty of Theology. According to statistics provided by Datla, by 1935 there were 1,806 students in the Osmania system: 771 in arts, 731 in sciences, 102 in medicine, 97 in law, 47 in engineering, 26 in education and only 32 in theology. In other words, theology was not a popular course a fact that indicates Muslim eagerness to be part of the secular mainstream. During the turbulent period prior to colonial India’s partition and independence, Muslim intellectuals in Hyderabad sought to secularize and reformulate their linguistic, historical, religious, and literary traditions for the sake of a newly conceived national public. Responding to the model of secular education introduced to South Asia by the British, Indian academics launched a spirited debate about the reform of Islamic education, the importance of education in the spoken languages of the country, the shape of Urdu and its past, and the significance of the histories of Islam and India for their present. The Language of Secular Islam pursues an alternative account of the political disagreements between Hindus and Muslims in South Asia, conflicts too often described as the product of primordial and unchanging attachments to religion. The author suggests that the political struggles of India in the 1930s, the very decade in which the demand for Pakistan began to be articulated, should not be understood as the product of an inadequate or incomplete secularism, but as the clashing of competing secular agendas. Her work explores negotiations over language, education, and religion at Osmania University, the first university in India to use a modern Indian language (Urdu) as its medium of instruction, and sheds light on questions of colonial displacement and national belonging. Grounded in close attention to historical evidence, The Language of Secular Islam has broad ramifications for some of the most difficult issues currently debated in the humanities and social sciences: the significance and legacies of European colonialism, the inclusions and exclusions enacted by nationalist projects, the place of minorities in the forging of nationalism, and the relationship between religion and modern politics. It will be of interest to historians of colonial India, scholars of Islam, and anyone who follows the politics of Urdu.